Twitter product manager Michael Sippey announced that Twitter's next API revision is expected to launch in "the coming weeks". 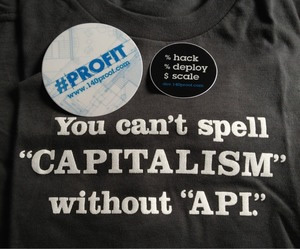 An API, or "application programming interface", is a framework by which developers are granted the ability to access certain features, data and services from another's project and integrate them into their own. Twitter API version 1.1 has proven to be a contentious update though, earning the ire of some developers. Twitter is being criticized for locking down its API by imposing limits, a brand of strangulation which feel uncharacteristic for the once innovative, fast-and-loose start-up. One of the biggest changes coming is a "token limit". Tokens are used by applications when they pull data about users from the micro-blogging service. Now, developers must seek Twitter's explicit approval before using more than 100,000 tokens. If developers fail to do this, they face losing their API privileges. Sippey did not specify a time frame: presumably this limit is applicable to tokens used over the project's lifetime. Larger accounts, like those of corporations who believe they will generate millions of requests, will be required to work with Twitter directly, according to Sippey's post. Also new for 1.1, apps that find themselves pre-installed on mobile devices must be certified by Twitter. "We want to make sure that the developer is providing the best Twitter experience possible", the announcement revealed. Keeping true to that vision, Twitter is also shifting from its current Display Guidelines to a set of new "Display Requirements" -- developers will now be required to maintain certain design features or have their API privileges revoked. The blog post notes that developers have had 18 months to prepare for 1.1, but still have about six months remaining in order to complete their migration from 1.0. The old API will remain active during this time, but access will be pulled once the clock stops ticking.